#906/5 –this instantly took its place in my “collection/exhibition” of your Blue Images. This is really what "cold" looks like. I also like a lot #906/4 with all the little houses, it looks so cosy in the cold (makes you want to be inside one of them with a hot chocolate by the fireplace! ). Beautiful pictures Pakarang! I like the pictures from Våttakamnen, when you have a good view of the city! It a long time since I went Bymarka. 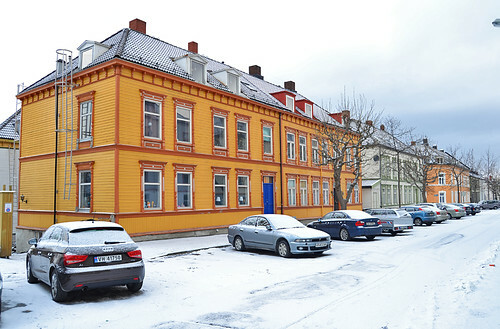 It is no longer so much snow that it was a few weeks ago in Trondheim. It is from my trip a few weeks ago. Radeon, how on earth have I somehow managed to have missed out on your photography previously. These are so fresh and special a style, all the more evident in so familiar a city –and what a genius you are in making distant figures in the scene count so much. I do like #906-2.Munkholmen seems to be a question mark. 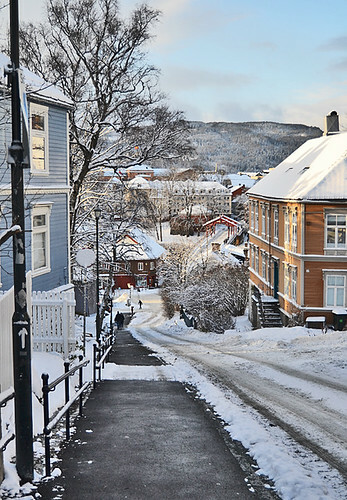 Really enjoy pictures from Trondheim!! 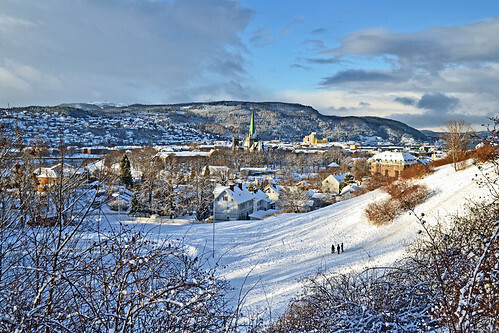 Pictures taken from Våttåkammen are rear, and one get a different view on Trondheim, seldom seen. Nice!!! From what point did you take #907...? 'Radeon', you take some pretty nice images...., almost postcard-like. Me like!!! Thank you Seagull! I am very grateful to hear it. Like the winter in Trondheim, but now that summer is on the way I'll try to take some new atmospheric pictures. Also Trondheim is a beautiful city! I'll show you when you come to "town" some day. Bring good shoes for walking in the forest! Thank you all so very much for the positive and inspiring comments. #916/2: Maybe the place is too exposed for a new road? Time will show. And all your waves, water-spray and stormy pictures in various threads are really impressing. Thank you for sharing.